The Virginia Ivy covered independent 18th century Cotswold stone pub is on the Cotswold Way walk and provides a warm welcome at lunchtime and evenings Opening Times for all hungry and thirsty walkers, families, locals and visitors to the area. 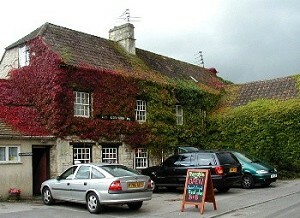 The Majors Retreat, formerly the Portcullis Inn, changed its name to avoid confusion with the Portcullis in nearby Chipping Sodbury. 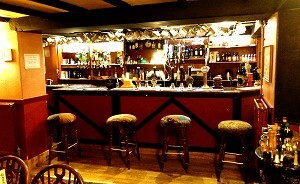 The spacious main bar has large tables providing plenty of seating and connects through to a large oak panelled dining room. PROUD WINNER OF TRIP ADVISOR CERTIFICATE OF EXCELLENCE FOR THE FIFTH YEAR RUNNING!!!!!! Why not visit our BOOK CORNER. Swap or buy - just bring one of your own and swap or ... put 50p into the charity box to take a book away. Donations of books welcome. COMING SOON ..... Friday 17th May .... from 7.30 p.m.. TEXMEX NIGHT. All-you-can-eat hot buffet experience. £14.95 per person. PLEASE NOTE ..... on our buffet "specials" nights, the main menu is NOT AVAILABLE. SUNDAY LUNCHES ....... PLEASE NOTE ........ Our Sunday lunchtimes are incredibly busy - booking is essential to avoid disappointment. STAFF URGENTLY WANTED ..... 'phone or call in for details. Own transport essential. MOTHERS DAY .... SUNDAY 31ST MARCH ...... PLEASE BOOK EARLY TO AVOID DISAPPOINTMENT ..... 2 course meal (Main course and dessert) Adults £15.95, Children £8.95. NOTE - THE MAIN MENU IS NOT AVAILABLE FOR THIS LUNCHTIME SERVICE. The friendly landlord, Roy, takes great pride in his fine selection of real ales, ciders and lagers, sourced mainly from local breweries. Drinks A broad range of wine and soft drinks are also offered. On cold days, ask for a glass of Roy's secret recipe mulled wine to warm you up in front of the log fire! The Majors Retreat has an extensive menu of traditional pub food, offering freshly cooked and generously sized bar snacks to full meals, at modest prices. Great value children's menu too. PLEASE NOTE Our kitchen closes at 2.30 p.m., Monday-Saturday and re-opens at 6 p.m, ( 7 p.m. on Sundays). 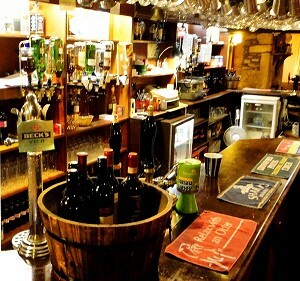 For those warm and sunny days, there is a large beer garden at the back of the pub. 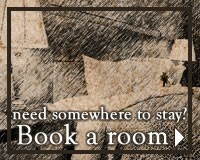 The Majors Retreat offers basic (1 star) B&B accommodation of 3 ensuite rooms: three twin bedrooms at very reasonable prices - please contact us for details. 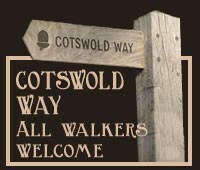 As well as being on the Cotswold Way, the Majors Retreat pub is surrounded by the best of what the Cotswolds offers Local Attractions, with Badminton House, Badminton Horse Trials, Dyrham Park & Horton Court National Trust, Westonbirt Arboretum, Castle Combe historic village and the city of Bath, all just down the road. 01454 218 263/218899 or email info@MajorsRetreat.co.uk for a warm welcome at the Majors Retreat in Tormarton, Gloucestershire GL9 1HZ.